'Lal Salaam': Keeping Comrade Fidel Castro's dreams alive! Los angeles : One of the flag bearers of the dying communist regime Fidel Castro was one of the greatest enemies of the United States. Among supporters he was known as the soldier-politician who brought peace and love to the people of Cuba, however, he also faced accusations for suppressing the economy by not allowing opposition in working properly. 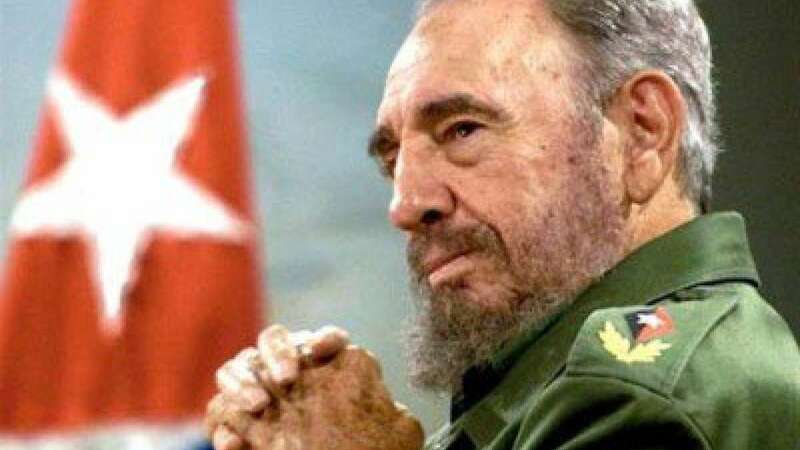 Born on August 13 1926, Fidel Alejandro Castro Ruz was the illegitimate son of Angel María Bautista Castro y Argiz, who had immigrated to Cuba from Spain. Castro’s mother Lina Ruz González worked for Argiz and became his mistress. However, she became his legal wife after Fidel's birth. Castro was not good academically hence decided to spend his time in sporting activities. It was during his education programme at Havana University in the mid-1940s that he became a political activist and honed his skills as a passionate speaker. He targeted Cuban government and President Ramon Grau over corruption charges. He also became part of a plot to overthrow Rafael Trujillo, the right-wing leader of the Dominican Republic but the attempt was thwarted after US intervention. After his marriage to wealthy Cuban politician’s daughter Mirta Diaz-Balart in 1948, Fidel turned increasingly to Marxism as he believed Cuba's economic problems were a result of unbridled capitalism that could only be solved by a people's revolution. Later, after his graduation, Castro tried to set up a legal practice but failed miserably. He,, however, continued to be a political activist while taking part in a series of often violent demonstrations. In 1952 Fulgencio Batista launched a military coup which overthrew the government of the Cuban president, Carlos Prío. Fidel formed an organisation called The Movement, which worked underground in a bid to overthrow the Batista regime with some help from organised crime syndicates. Under his leadership, prostitution, gambling and drug trafficking became the woes of Cuba. In July 1953 Castro’s planned an attack on the Moncada army barracks near Santiago in order to seize weapons failed resulting in the death of many revolutionaries and trial of Castro in Sep 1953. His profile emerged in foreign media during his court hearings where Castro exposed atrocities committed by the army. He was sentenced to 15 years in prison but was released in a general amnesty in May 1955 having served just 19 months in relatively comfortable conditions. During his short time in prison he divorced his wife and immersed himself in Marxist texts. He returned to Cuba in November 1956 with 81 armed companions. They took refuge in the Sierra Maestra mountains from where Castro launched a two-year guerrilla campaign against the Havana regime. On 2 January, 1959, the rebel army entered the Cuban capital and Batista fled. The new Cuban government promised to give the land back to the people and to defend the rights of the poor, however declined on its promises later by imposing one-party system forcing hundreds of people to jail and labour camps as political prisoners. Many middle-class Cuban's fles into exile. In 1960, Fidel Castro nationalised all US-owned businesses on the island. In response, Washington put Cuba under a trade embargo that was to last into the 21st century. The Soviet poured money into Cuba but Castro put Cuba at the head of the newly-emerging Non-Aligned Movement. But things did not go as planned; under Castro's leadership Cuba returned to the age of ox-drawn carts. This was the beggining of Castro's decline. On 31 July 2006, just days before his 80th birthday, Castro handed over power temporarily to Raul after undergoing emergency intestinal surgery. He re-emerged in July 2010 giving a speech where he asked US not to attack Iran and North Korea. President Obama in December 2014 extended an olive branch by ending trade sanctions on Cuba which was happily accepted by Castro who welcomed the move stating it was "a positive move for establishing peace in the region", but that he mistrusted the US government. Castro was finally announced dead at the age of 90 by Cuban state media on November 26, 2016.